Motherhood is one of the most beautiful phases in a woman’s life. Along with joy, comes a great deal of responsibility. But, we understand your need to buy what’s best for your baby. Pregnancy is one of the most exciting and happy experience for every mother out there. So, TabletShablet brings to you Mamaearth Products Online. Mamaearth, Asia’s 1st Brand with MADE SAFE Certified Products for both baby and mother care. Each product is specially designed to provide completely safe & certified toxin-free products. All of its products go through all the required tests and meet the safety standards required for a baby product. The company uses all the best available ingredients (natural, plant-based or manmade) that are both certified safe and effective. You can also check out the list of Important Supplements for Pregnant Women. Babies are the most delicate being, therefore extra care is needed for their protection. So, we provide a wide variety of products that you must have for your baby. You can also visit us to know aboutHome Remedies To Increase Breast Milk Production. Enriched with Vitamin A, B, D and E, Mamaearth baby hair oil is a naturally extracted hair oil for babies. It contains Almond and Avocado Oil that helps in providing nutrition to your baby’s delicate hair and the roots. Mamaearth easy tummy roll on treats stomach ache, Acid reflux, constipation and other stomach related issues. Available in a beautiful, colourful and spacious bag, Mamaearth Complete Baby Care Kit is a perfect solution for baby’s complete care. It also serves as an amazing gift idea and will definitely be appreciated by the receiver. We provide a variety of products that ensure all-around skin and hair protection. 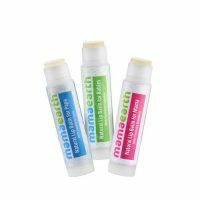 Mamaearth lip balm comes in an exciting pack of three, for all your family’s lip protection. Use Mamaearth c3 face mask to reduce Pigmentation, Exfoliates dead cells and get Bright & Tight Skin. After pregnancy, stretch marks are a common concern for a lot of women. Mamaearth stretch marks cream is enriched with Shea butter and Cocoa butter, which reduces the appearance of stretch marks and scars. With its milk proteins, it makes sure that your skin is hydrated and moisture is completely locked in. After giving birth, hair fall is a very common problem in women. For hair care, Mamaearth Products like mamaearth shampoo, mamaearth hair oil, mamaearth shampoo nourish your hair, repair damaged hair, revitalize dull hair. They ensure the least hair fall by promoting new hair growth, thus keep your scalp healthy and happy. To make your experience more carefree and enjoyable, we offer you great discounts on each beauty and baby care products. A little inspiration to keep your family happy & healthy can go a long way of happiness. So Hurry Up! Create your happiness by taking benefits of mamaearth products on special discount.